This tour has been called the best kept secret in San Diego. It is a great way to start your day and save money too. A new day brings guests into our city's most iconic areas downtown. 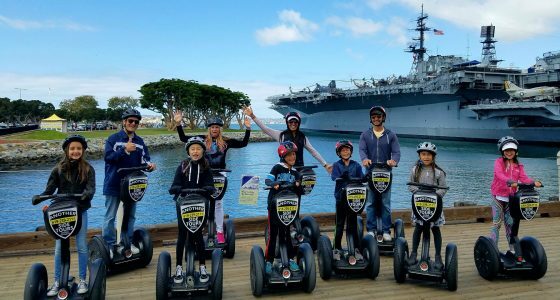 The Historic Gaslamp Quarter, Petco Park, and The USS Midway are all featured aboard our Segway i2 Personal Transporters. Led by knowledgeable guides, our tour visits many many landmarks. 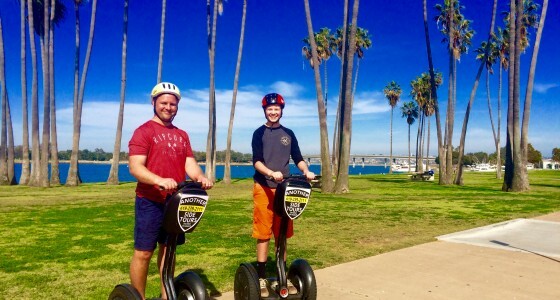 The sum of the adventure on a Segways plus San Diego's natural beauty and metropolis sophistication equals fun. Visitors get a morning full of scenic vistas, insider history, and plenty of dramatic views and photo opportunities. You will surely enjoy this fun ride, as it is an excellent and creative way to see our city and our dynamic downtown. On this fantastic tour, a world of possibilities awaits you. Join us for this fun adventure and tour experience as we teach you how to ride a Segway and discover our wonderful city too. Enjoy this amazing and fabulous ride that we are famous for. You will not regret it! "Embarcadero" is a Spanish word meaning "landing place", however we will rename it the "gliding place". The Embarcadero is home to the Big Bay Front, San Diego's cruise ship terminal, the USS Midway Museum ship, the Star of India and seven other historic vessels belonging to the Maritime Museum. The area is also home to various restaurants and shops from the North Embarcadero down through Seaport Village. 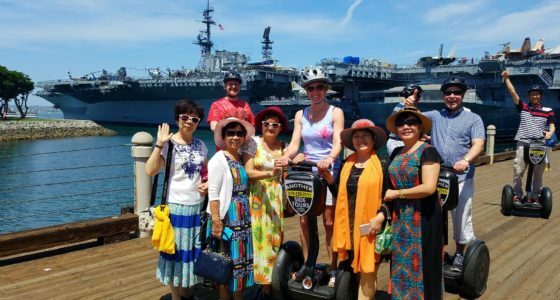 The Port has redeveloped the entire area and it is beyond fun to experience on this Segway tour. 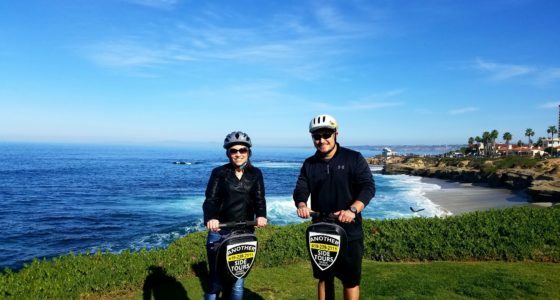 On this awesome Segway tour, you will learn how to safely operate a Segway and then take off on the adventure of a lifetime. 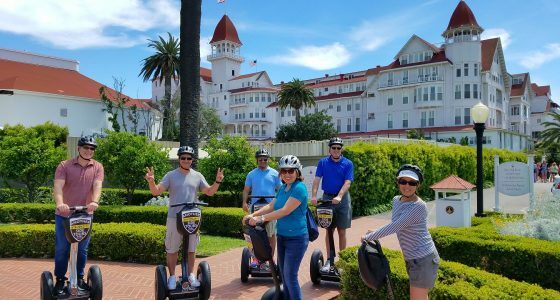 This Segway tour is so popular because it allows you to zip quickly all around the dynamic downtown city area, all the way to our beautiful bay front, while providing a comprehensive sightseeing itinerary without having to be stuck inside a vehicle. 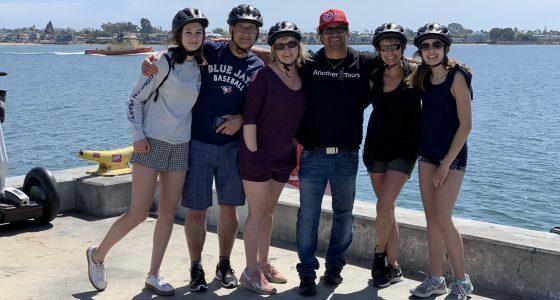 Come try the tours that we are famous for on this unforgettable experience in San Diego. 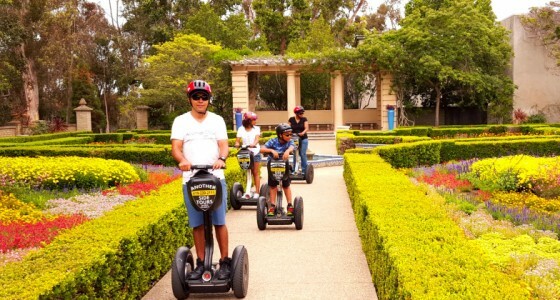 On this Balboa Park Segway tour you will learn what San Diego locals know, that Balboa Park is San Diego’s best kept secret! As the largest urban cultural park in the country, Balboa Park is one of the most unique attractions in San Diego. From hiking trails, to desert gardens and world-class museums, you could easily spend an entire day in this gorgeous San Diego park. 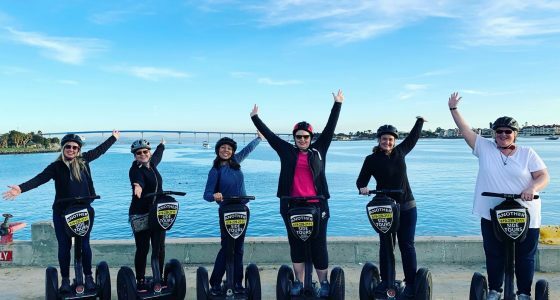 On this exciting tour, our professional tour guide will teach you to ride a Segway before we begin to navigate the beautiful shores of Mission Bay. This Segway tour is less about the history and more about having fun riding your Segway. On this journey, we will glide along the Bayside Boardwalk which is a wide scenic path that runs along San Diego's Mission Bay. Adventurous riders will also love experience and especially the eclectic people watching in colorful Pacific Beach. Discover arguably the best area to shop, dine, and explore in Downtown San Diego, Little Italy. 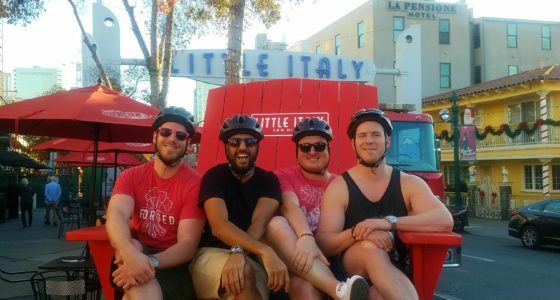 Little Italy is home to modern cuisine, good old fashioned eats, and a hip neighborhood filled with landmarks, history, and culture. Join us for this unforgettable tour experience as we tour the cozy corners where old-world charm and a rich history meets a modern hip downtown vibe. Between the bespoke boutique stores, cute cafes and remarkable restaurants, you will want to move in and never move out. 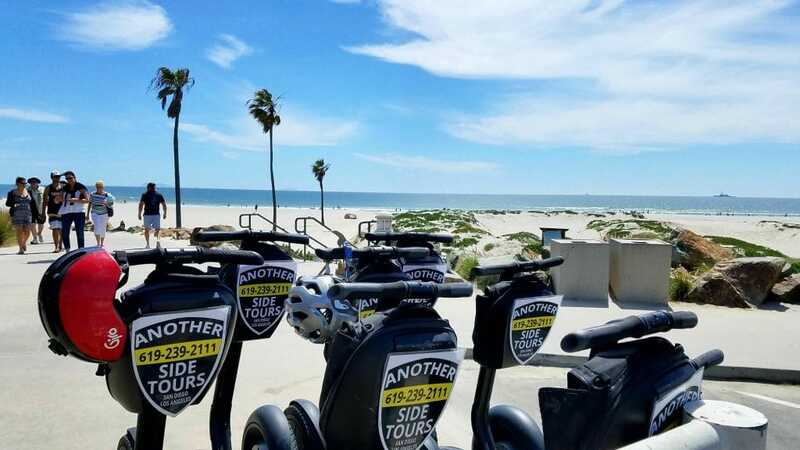 Another Side Of San Diego Tours is proud to be the “original” and the best San Diego Segway Tour company in San Diego! We absolutely 100% guarantee that you will have the experience of a lifetime with us. 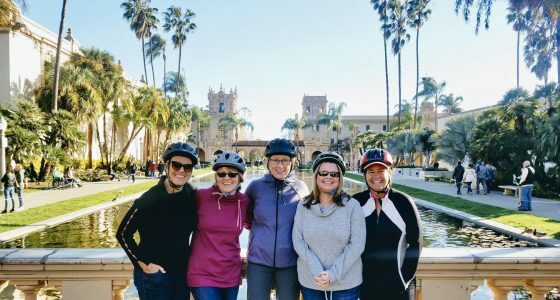 We offer THE BEST hands-on sightseeing adventure in San Diego and we have the reputation that proves it. 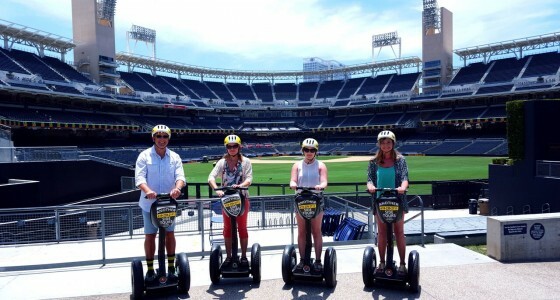 Our Segway tours are the most fun and efficient way to see San Diego! We cover so many areas of our city in less time and without exhaustion. Join our hospitality professionals today to find out why we are the #1 Tour Company in San Diego. Feel free to book any of our tours here on our secure site. You will receive a confirmation by email once your booking is confirmed. If you have any questions or concerns at all please give us a call anytime at 1-619-239-2111. One more thing….Be prepared to have a ton of fun!